Effective product descriptions are crucial for e-commerce businesses. Compelling copy builds customer confidence and sets clear expectations of the product being offered, which decreases shopping cart abandonment and return rates while increasing conversion rates. 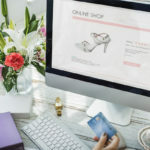 Unique and original text can boost your search rankings, and since it addresses many of the questions that the online shopper has, a well-written description has the added benefit of reducing unnecessary emails and phone calls from customers, saving you both time and money. Can you really afford to rely on the generic product descriptions that your manufacturer provides? The answer is no, so here are four tips to help you write sales-generating product descriptions. Many e-commerce business owners think that the more text in a product description, the better, but this is not the case. Research conducted by the Nielsen Norman Group on how people read websites revealed that only 16 percent of people read word-by-word, the majority favoring scanning. How does this finding impact product descriptions? While we do recommend a minimum of around 100 words if possible, especially for search engine optimization (SEO) purposes, writing an essay-length product description will not guarantee a sale; in fact, it may be overwhelming and end up deterring the potential customer from proceeding to the checkout page. To create short and sweet product descriptions that are easy to scan, start with one or two short paragraphs about your product, and use subheadings to grab your audience’s attention and bullet points to highlight key features. Online shoppers don’t want to read a product description that resembles a sales pitch with nothing but a list of features. Including a narrative that tells your audience the story behind your product or why you carry that particular item will enable you to connect with your customer in an emotional rather than purely rational manner. Instead of simply listing the ingredients, Origins, a cosmetics company, tells the story of how they went around the world to find the ingredients in their most potent anti-aging power serum, engaging the customer in their quest for the ultimate product. When it comes to product descriptions, don’t limit your yourself to text only. Use visuals to enhance your product description and make important points stand out on the page. Origin’s product description is a perfect example. Rather than only including information such as “this product is suitable for line and wrinkle reduction” or “this product is recommended for dry, oily, and normal skin” in text format, they include an image that the customer can quickly associate with that feature. Using a combination of text and visuals makes the copy less wordy and less repetitive while ensuring that shoppers intuitively obtain and retain essential product information that will impact their decision to buy. 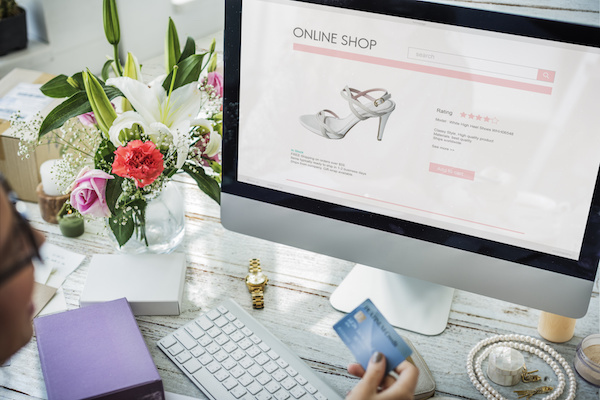 Since online shoppers can compare prices from different e-commerce companies at the click of a button, it is important that you tell your customers how your product is different and why they should buy from you. Is it your expertise that sets you apart, or is it that your product not tested on animals? Is your product hand-crafted when so many others are mass-produced? Don’t assume that your customers know what makes your product different, tell them. Let’s take a look at Upscale Menswear, an online boutique specializing in high-end fashion for men that carries several reputable and sought-after brands such as Belvedere. In its product description, Upscale Menswear specifies that Belvedere “offers sensational exotic belts that are completely hand crafted and hand stitched” and that it “does not use the “painted-on” process to color [their] belt like other manufacturers; instead, they use a special tanning process to glaze the premium grade hornback crocodile.” This helps the customer understand why this product is superior to other products that may be cheaper. We know that writing persuasive and effective product descriptions is time-consuming, so why not let the professionals take care of that while you focus on doing what you do best, which is running your business? Contact Numinix to chat with a professional wordsmith who can transform any dull, uninspiring text into sales-generating product descriptions.